We’d love your help. Let us know what’s wrong with this preview of The B Corp Handbook, Second Edition by Ryan Honeyman. 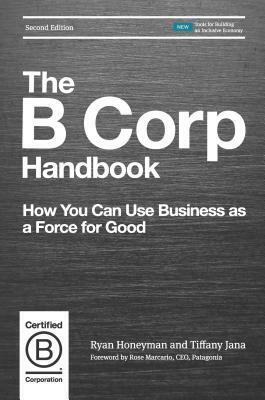 B Corps are a global movement of more than 2,700 companies in 60 "This book shows how using business as a force for good, not just pursuing short-term profits, can be better for consumers, employees, local communities, the environment, and your company's long-term bottom line." To ask other readers questions about The B Corp Handbook, Second Edition, please sign up.